The man was arrested at a house in Mayfield on the northside of Cork city last week. He is originally from Knocknaheeny in the city but had moved to the UK for a period. Gardai are also to prepare files to the DPP after the arrest and subsequent release without charge of a a Latvian man in his twenties and an Irish woman in her thirties. Six people have now been arrested in relation to the brutal killing of Mr Wilk. The arrests come just weeks after an inquest in to the death heard it was “a live, ongoing” probe. A hearing of a full inquest in to the killing of the thirty five year old, who was attacked in his home by a gang wielding machetes , was delayed because the murder investigation is still ongoing. He applied for an adjournment of the case. It will now be now listed for mention on October 3. Meanwhile, files were sent to the DPP in January after the release without charge of three men arrested in connection with the murder of the gardener. 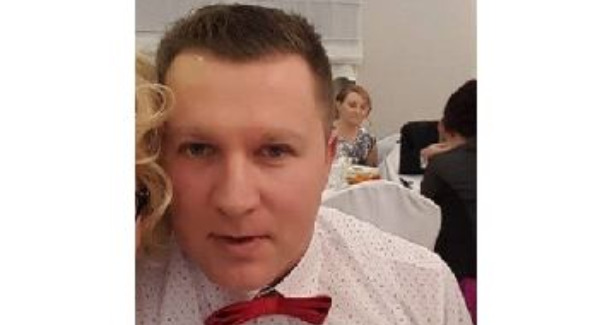 Mikolaj was murdered at his home in Maglin Bridge, Ballincollig, Co Cork on June 20, 2018. A vicious gang wielding machetes had entered the house and killed him in the presence of his wife, Elzbieta who also sustained injuries. The couple’s young children were also in the house. They were not injured in the incident. A woman who was renting a room in the property also escaped injury. Two Polish men and a Latvian national were arrested in Ballincollig and Togher in Cork city in January in relation to the murder. All three were released without charge pending files to the DPP. A number of raids were carried out last summer as part of the Garda probe. Vehicles were also seized. The Wilk family returned to Poland in the aftermath of the tragedy and the funeral ceremony for Mikolaj was conducted there. Elzbieta required hospitalisation in Cork after the murder. She underwent surgery to her tendons at Cork University Hospital. She was visited in hospital by the Bishop of Cork and Ross Dr John Buckley who extended his sympathy to her following her loss. Members of the Polish community also held remembrance masses in the wake of the death. The couple had been based in Ireland for over ten years and were due to celebrate their seventh wedding anniversary. Mr Wilk ran a gardening service in the area where he lived and was not known to the authorities. Over €23,000 was raised for the family after a friend of Mrs Wilk set up a Go Fund Me Page in the days following the murder. The family appealed for privacy in the wake of the incident.